A brie-lliant line-up of chefs is on the way to North Wales with Coronation Street actor and award-winning cheese-maker Sean Wilson headlining a top food festival. 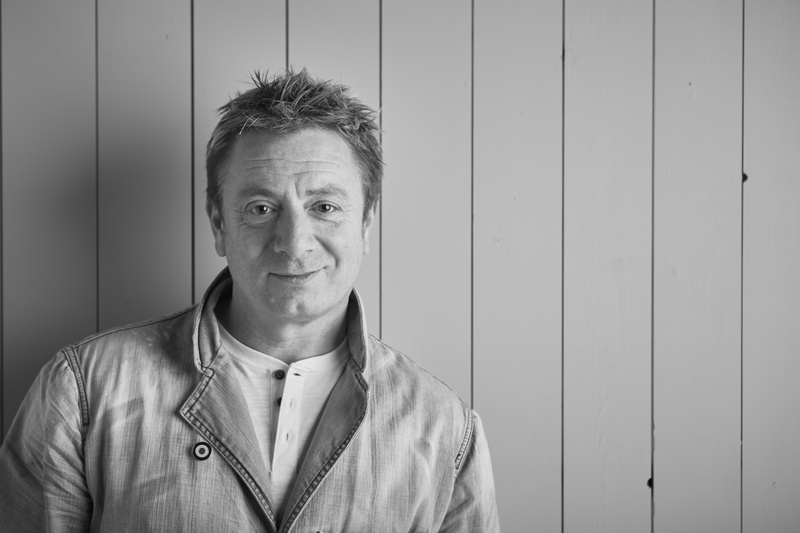 Now running the Artisan Farm cheese company and with dozens of awards to his name, Sean, who played Martin Platt in the long-running soap, will be cooking up a storm for visitors at Mold Food & Drink Festival. Sean, whose range of six kinds of cheese includes Lancashire Mouth Almighty and How’s Ya Father, is also an avid chef and will take to the main cookery stage on September 22. He said: “I was 19 when I first became interested in cookery. I’d watch all these great chefs such as Keith Floyd and take inspiration from what I could see them doing on TV. Later, I’d go out for dinner with Helen Worth who played my on-screen wife, Gail, and I experienced fine dining for the first time. It was around this time that Sean, who now lectures in cheesemaking, met legendary cheesemaker Bob Kitching at a Lancashire dairy and was bitten by the bug. Thanks to Bob’s guidance Sean picked up his first gold aware at the British Cheese awards and has never looked back. He has 40 international awards to his name and his cheese range can be found all over the UK including Tesco, Asda, and Morrisons supermarkets. “This is an exciting time to be making produce and to be cooking. We are in the middle of a food revolution – more people are baking, vegan dishes are more widely available, and there’s a real interest in food and cooking. “I thoroughly enjoyed my time in Coronation Street. They were pioneering years, we moved away from two episodes a week and I was fortunate to play a well-loved character for 21 years. “But the cheese world is a different kind of challenge and I’m trying to push the boundaries of cheese-making all the time. This will be the first time I’ve cooked in North Wales and I’m pleased to be coming to Mold and give people ideas of some dishes they can go away and cook in their own home,” added Sean. Mold Food & Drink’s Festival co-chair Richard Howells said the festival was looking forward to welcoming Sean, who presented Channel 5’s Great Northern Cook Book, to North Wales. Richard added: “Not only is Sean an award-winning cheesemaker but he is a very talented chef in his own right and takes a lot of his influence from the food and drink of France. He’s also shown time and again just what goes into making cheese and the versatility of cooking with it, going beyond the humble cheese on toast. The festival will be held on Saturday September 21st and Sunday September 22nd at New Street, Mold. A NEW range of pies made by men from Wrexham’s Berwyn Prison and dubbed ‘as good on the inside as the outside’ will be launched at Mold Food & Drink Festival. Mold Food & Drink Festival is organised by a dedicated group of volunteers from local businesses and councils and other willing individuals all with a passion for local food and a commitment to developing the Festival year on year. The Committee meets regularly and also calls upon the services and expertise of other supportive people and professionals in their field who attend meetings by invitation to assist with particular aspects of the Festival.